Average agent fees in your Tas suburb & advertising costs. Have a property to sell in Tasmania? Then this article was written especially with you in mind! We agree that selling your property can be an exciting process, but it can also be daunting. We promise to take you behind the scenes so you will be more informed on the entire selling process. We outline below what you can expect to pay and give you a few helpful tips along the way. Are fees are regulated in TAS? All real estate agents will charge you a fee to sell your property referred to as the commission rate. In TAS, the commission rates and fees vary according to the location of the property. Before 2005, Tasmanian legislation featured a requirement of the REIT to publish a recommended scale of fees. When the Property Agents and Land Transactions Act (2005) commenced, the scale of commissions was discontinued. This means that the REIT only provides the scale of commission on their website as a service to members and consumers and it is to be taken as a guide only. $19,620 in commission, plus $1,962 GST. This rate does vary by geographical area. $1,104 plus 6.02% of excess over $10,000 for properties between the range of $10,001 and $50,000. For those properties that are valued between $50,001 and $100,000; agents generally charge $3,512 plus 4.22% of excess over $50,000. For those properties that are valued from $100,001 upwards, agents usually charge $5,523 plus 3.99% of excess over $100,000. The REIT also issues a useful guide to selling property in Tasmania. Tasmania is the most expensive state to sell property in Australia (based on % commission). We have found that the average commission rate charged by an agent is 3.25%. Are agent fees regulated in TAS? It is up to you to negotiate and agree upon a commission fee with your Tasmanian based agent. The Real Estate Institute of Tasmania will suggest the fees that your agent may charge you. There are no firm regulations or rules about what the agent must charge, just a guideline to work with. As you might guess, some agents do adhere quite firmly to the REIT guidelines. If you insist, they generally negotiate around the edges. Use the Tasmanian real estate agent fee calculator below to determine how much it will cost to sell your property. Amounts calculated include 10% GST but exclude other costs an agent may charge such as advertising and marketing. Selling your property can be expensive. types and costs of advertising you could be up for. You ready to learn more? Advertising online can be very effective when selling your property. With fees ranging from around $400 for a standard listing, up to $2,000 for a Premier listing on realestate.com.au in high-value suburbs such as Battery Point. There are three powerful online real estate advertising websites in TAS. Choose the right one to get the most amount of value from your investment. Ask your agent for their advice on which one to choose. Some people see advertising in newspapers and magazines as old fashioned and of little value. The more advertising you have done for your property, then the more potential buyers find out about it and the more likely it will sell quickly. Using national newspapers like The Mercury reach buyers from outside of the state, while local publications such as The Advocate, The Examiner, Hobart Observer and the Tamar Times will attract and interest the local buyers. The effectiveness and the cost of the advertisement depend on your property’s target demographic. Other forms of advertising can also be very helpful in marketing, assisting in a fast turnaround of the property. Note these all have different benefits and costs. A landlord database will potentially provide access to multiple buyers. When preparing your property for sale, a top to toe inspection should be done. Make a list of things that need to be finished, packed away or cleaned. This can help provide you with a starting place to ready your property for sale. 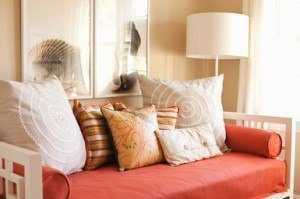 Getting a staging professional to dress inside your rooms can be a great investment. They may suggest you remove some furniture and replace it with hired pieces to enhance certain features, or display different kinds of linen for photos or open homes. Photographs can speak a thousand words. So it pays you in the long run to get your home looking great before your photos are done. Otherwise, you may end up having to pay for additional photos or alterations. You are looking at around $150 to $250 per property for a range of internal and external photos to use for advertising purposes. A floor plan can take all the guess work out of visualising your property. An open home only allows a short period for inspection. Therefore, professionally drawn floor plans can help buyers quickly and easily take their own tour. It helps online by allowing potential buyers to visualise themselves in your property as they take a virtual tour using your photos. When it comes to selling your property in TAS, you will first need to have your solicitor or conveyancer prepare The Contract for Sale of Real Estate. Any interested purchaser may make an offer on your property. You can choose to accept the offer or to negotiate over the price or/and terms of sale. When a purchaser wishes to show that they are very interested in buying your property, they may pay a holding deposit. The agent’s seller or the agent themselves! If your property is put up for sale at an auction, there may be additional expenses you need to pay. Before the auction begins, you need to have your solicitor or conveyancer make sure that everything is in order by examining the sale contract. Any prospective purchasers also need to have their finances in order and all their property inspections completed. You need to set a reserve price, which is the lowest price you would accept to sell your property. If the auction bids come out below this, your agent will use that as a jumping point to negotiate a higher price. After the price has been agreed upon, the purchaser will pay a deposit of around 10% of the purchase price. Contracts will then be exchanged between the seller and the purchaser by the real estate agent. In Tasmania, the seller and purchaser each sign one copy of the contract. After the contracts have been exchanged, a Priority Notice is lodged by the purchaser, which reserves the purchaser’s priority to have the property transferred to them after settlement, for a maximum of 60 days. Having insurance on a property you own is very wise. 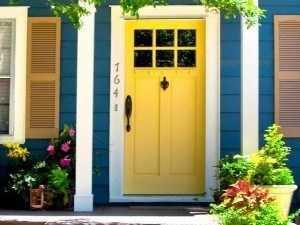 In fact: If you have a mortgage, some lenders make insurance a requirement. Some purchasers will actually take out insurance before they take possession just in case the seller does not have a current policy. Insurance costs vary by property type, price, and location. A cooling off period does not exist in Tasmania. In TAS, the stamp duty varies depending on the property value. After the title is transferred, the purchaser’s solicitor or conveyancer then sees to it that the transfer is sent to the seller’s solicitor or conveyancer for the seller to sign. So what is the time for completion? It is the length of time until the sale is finalised. In Tasmania, the time for completion is usually 30 days. But this could lengthen if the purchaser is buying off the plan, as time is needed for finishing the construction and obtaining the required permits. During the tenth stage, a list of formal questions about the property is sent to the seller by the purchaser’s solicitor or conveyancer. Known as requisitions on title, answers are sought on any information which may not have been disclosed or discovered during the inspection of the property. If the answers are not acceptable, the purchaser can cancel the agreement, sue for any loss of value or ask for a lower sale price. The cost of requisitions is usually included in the final fees. The seller’s mortgagee needs to be told that the house is being sold and the payout amount confirmed. The mortgagee also needs to come to the settlement to discharge the mortgage as well as the certificate of title or title deed. Another expense that the purchaser may not be aware of is adjustments. These are to be paid back to the seller as they would have already paid the bills for the year or a set period. The final settlement day is always looked forward to by both the seller and the purchaser. All the solicitors, mortgagees or conveyancers get together and hand over the title documents in exchange for the remainder of any payment due. The sale becomes final or completed when the purchaser has paid the remainder of the balance, and any adjustments have been sorted out. A final search of the title needs to be done to make sure that there are no amendments added since the date of exchange. The purchaser or purchaser’s mortgagee must register the transfer documents with the Land Titles Office. Any existing mortgage will be discharged, caveats withdrawn, the title is transferred and the new mortgage registered. The Land Titles Office then advises the relevant authorities, such as councils, that the property has a new owner. Here are a couple of useful online property resources available for property sellers and buyers in Tasmania. The REIT, which is a real estate agency advocate, has up to date information on local demographics, commission scales, and market reports. The Consumer Affairs and Fair Trading site offers a summary of the key points that occur when buying and selling a property.